Envion is a Company that makes products that are especially dedicated to cleaning the environment. In order to have a healthy atmosphere (in this particular case, indoors), Envion manufactures air purifiers, heaters, humidifiers and other cleaning appliances. 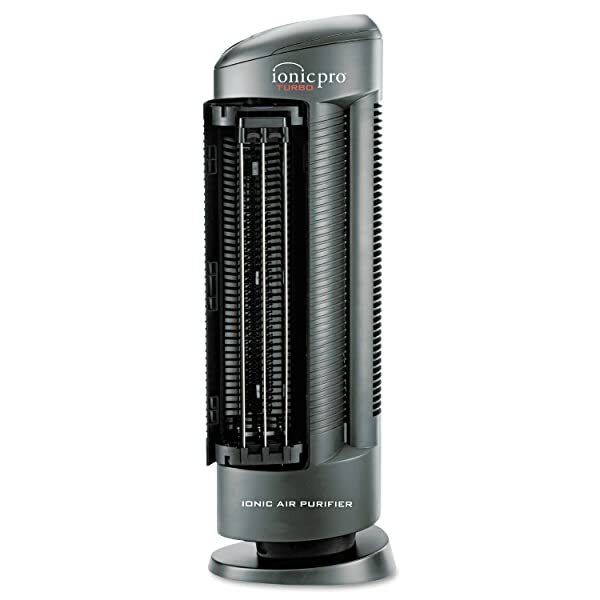 For this particular post, however, I am going to focus on Ionic Pro air purifier reviews. 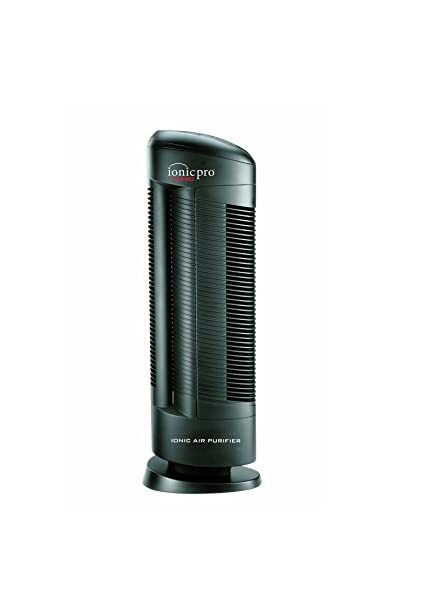 Ionic Pro – This category is consisted of air purifiers that mainly carry an ionizer feature for cleaning the air from pollutants, contaminants, and germs. Therapure – Air purifiers that use HEPA filters as the main filtering system are included in this group. 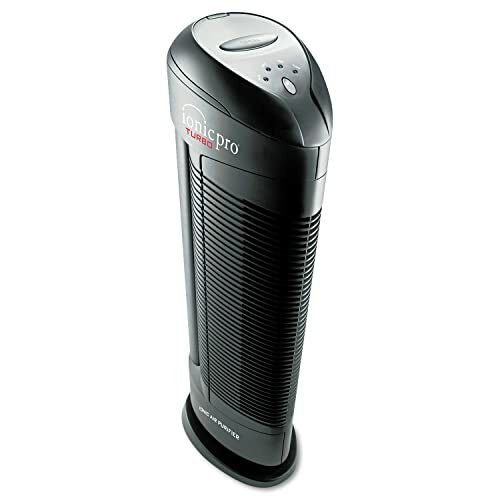 Allergy Pro – The air purifiers that make up this category are especially made for allergy sufferers. This can include a HEPA air purifier as the main filtering system.I will exclusively discuss Ionic Pro air purifiers here today with the hopes of helping you choose the right model for your needs. I will exclusively discuss Ionic Pro air purifiers here today with the hopes of helping you choose the right model for your needs. You see, different units carry different features and functions (although they’re similar in nature) – so, really knowing about their overall performance will help you decide on the right product for you. Which is the Best Ionic Pro Air ﻿Purifier ﻿for You? Since Ionic Pro air purifiers mainly use an ionizer to purify the air, let me explain to you how ionizers work. Ionizers ﻿﻿are ﻿﻿also called negative ion generators because these devices release negatively charged ions in the air. Note that negative ions contain one or more extra electrons in their composition, whereas positive ions miss one or more electrons in their structure. Since our home environment has more positively charged particles in the air, the introduction of negatively charged particles (through an ionizer) will neutralize the situation. Yes – we need more negative ions than positive ions (note that nature is rich in negative ions). Bacteria and viruses don’t thrive in an environment that’s rich in negative ions. The release of negatively charged ions in the air help create a healthy environment with clean, fresh smelling air. When an ionizer feature is included in an air purifier’s design, the overall performance of the device will be more efficient. 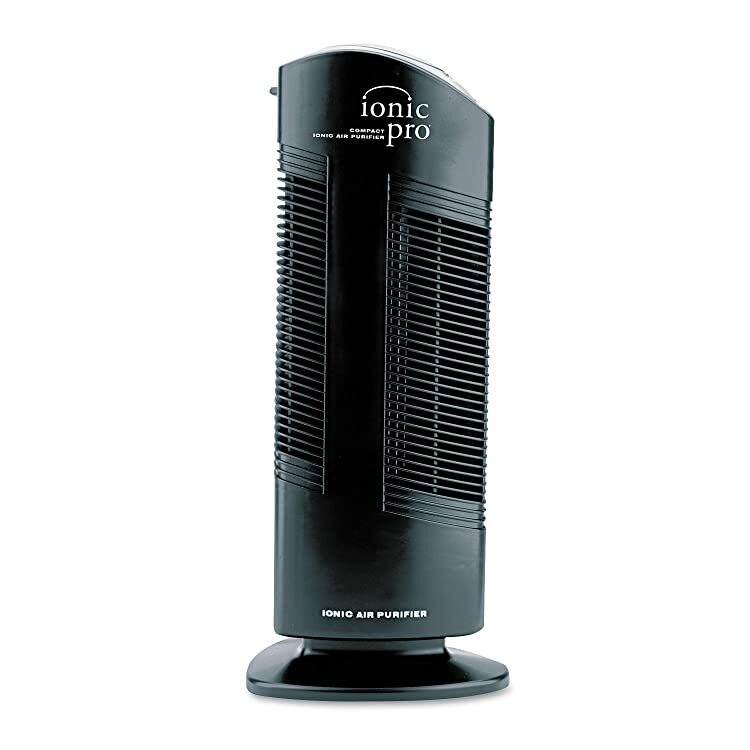 Ionizers don’t make use of filters.Ion generators in air purifiers can work with or without a dust collection plate (in Ionic Pro air purifiers, the collection blades serve as the collection plates). The collection plates or blades are electronically charged to hold filtered pollutants from the air. When negatively-charged ions are released into a room, these interact with pollutants in the air (dust, pet dander, pollen, smoke particles, etc.). The microscopic particles will then form into large particles so that they can be cleaned with the use of a vacuum cleaner. Some of these particles will also be attached to the ionizer’s collection plates or blades. Ionizers release a very small amount of ozone – the amount is usually negligible, if it doesn’t exceed public health standards. While a﻿﻿ small amount of ozone is not considered to be harmful to the health of humans and animals, it’s also not powerful enough to kill pollutants and contaminants in the air. But really, that’s ok, since we are focused on using the ionizer as the air ﻿﻿﻿purifier in this particular case, right? Female gesture smells bad. Headshot woman pinches nose with fingers hands looks with disgust something stinks bad smell situation. Fan-based – This type of ionizer makes use of a fan, and the unit usually comes with different speeds (low, medium and high). Having a fan feature makes negative ion distribution faster and more efficient. Just note that this feature can make the air ﻿﻿purifier a bit noisy, especially when set on high speed. 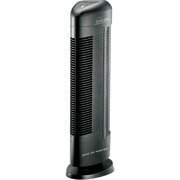 Fanless – Models without fans also release negative ions, but the distribution of ions can be quite slow. Fanless units are more energy-efficient as they consume less energy than fan-based types. Not having a fan feature also makes an ionizer very quiet. There are 4 basic types of air purifiers to choose from. You should know your options when deciding to purchase this type of appliance. These types of air purifiers are meant to be positioned on the floor. They basically carry the same features, but the difference lies in their appearances. You see, stand-alone units are usually bulky and heavy. Tower air purifiers, however, are built to be slim in design – making them very portable. Air purifiers that are mounted on the wall are space-savers. And since they can be positioned at a high location, air circulation is also improved. Compact air purifiers can take different forms. There are compact towers, desktop and tabletop models (a desktop air purifier is designed to be placed on top of a table), and mini air purifiers (a mini air purifier is basically small and portable). These models are made to be portable for convenience and practicality. However, since these air ﻿﻿purifiers come in small designs, they usually carry limited features and power as well. Air purifiers for vehicle use can come in different forms. Typically, these come as small devices that can be plugged into the vehicle’s cigarette lighter outlet. Because of their small size, car air purifiers usually employ the use of negative ions as filters are very hard to accommodate in such a set up. Non-electrical car air purifiers in the form of deodorizer bags can also be used as air ﻿﻿purifiers and fresheners. Since this post is mainly concentrated on Ionic Pro air purifiers, I can only provide you with 2 types of air purifiers to choose from – tower and compact tower. Right now, Ionic Pro air purifiers only come in those 2 designs. However, keep in mind that Envion has a wide range of air purifier models – so it’s worth looking into their other line of products as well. The Envion Ionic Pro Turbo Ionic air purifier is a tower model of air purifier. If you wish to get it, it’s available in black color right now. Ionizer – This unit’s ionizer feature allows it to produce negative ions in the air for purification and cleaning purposes. 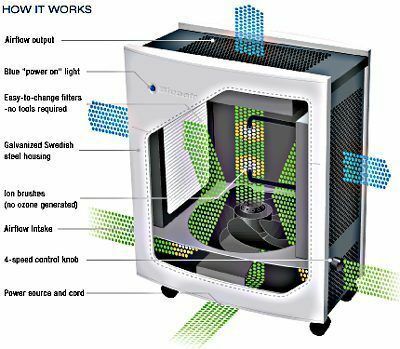 Operation – The production of negative ions enables the air purifier to remove pollutants, allergens and irritants from the air (dust, pollen, pet dander, smoke, etc.). Germicidal Technology – Having an abundance of negatively charged ions in the air can kill flu virus, cold virus, and bacteria. Design – This is an energy efficient device and it only consumes very little energy (like that of a night light). If you’re looking for an ionizer for a large room, this model can be one of your options (Ionic Pro Turbo air purifier reviews are mostly positive). It’s also a portable unit – so, you can easily transfer it from one place to another. This model is lightweight and can be easily transferred from one room to another. It operates quietly (especially on low settings). There’s no filter to clean or replace. Should the negative ion collection blades get broken, a replacement part can be costly. The Envion Ionic Pro Compact Ionic air purifier is also a tower type air purifier, but it comes in a compact design. Right now, this model is only available in one color – black. Ionizer – It produces negative ions as a way to filter the immediate environment from air pollution. 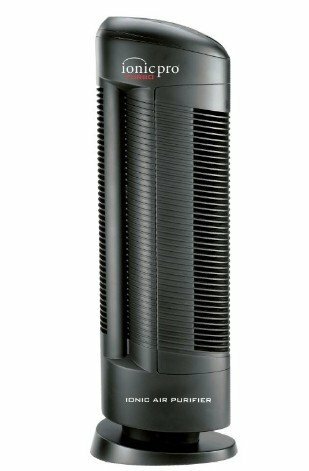 Compact Design – While standard models of tower air purifiers usually weigh around 8 pounds, this unit only weighs about 5 pounds. Operation – It destroys indoor air pollutants like allergens and smoke. Cleaning Procedure – The only part (internal part) that needs cleaning is the collection blades system. You can use a damp cloth to wipe the blades clean when they get dirty. 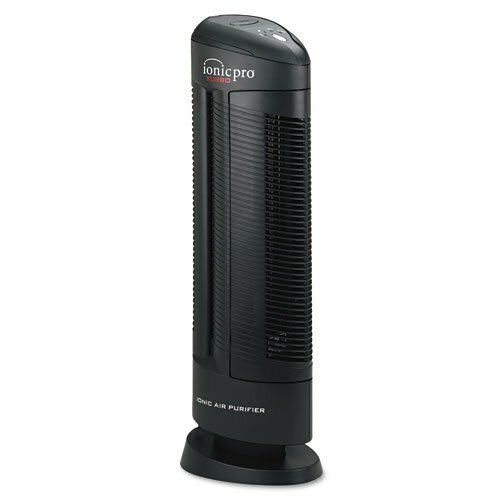 If you’re particularly looking for a small air ﻿﻿﻿purifier, this compact model can be a good choice. Just know that it’s only powerful enough to purify the air in small rooms. It doesn’t use a filter – so, you never have to buy a filter replacement. It’s easy to clean – the collection blade can be ejected easily from the main unit. It’s not a very powerful model – you can only use it in small rooms. There are crackling sounds when the collection blades are already dirty. The Envion Ionic Pro Ionic Car Ionizer air purifier is designed for vehicle use only. You can get it in black color. 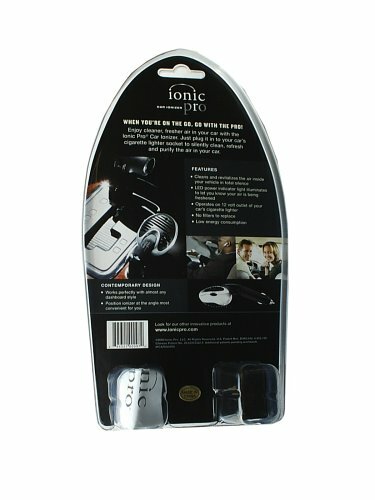 Ionizer – It releases negative ions inside the vehicle. Operation – It requires to be plugged in into a 12-volt cigarette lighter outlet. Positioning – The unit swivels and can be positioned in different angles. Design – This model works by using negative ions to clean, purify and freshen up the interiors of a vehicle. Vehicle Type – It can be used on any model of vehicle as long as there’s a 12-volt cigarette lighter outlet. Using this model of air purifier in your vehicle will allow you to experience fresh air while on the road. Not only will your traveling experience feel nicer with clean smelling air – you will actually be confined in a healthy environment while in your car. This model also works as an air purifier for smoke. This unit is not bothersome because its position is adjustable. This is a disposable type of cigarette lighter air purifier. It doesn’t have replacement parts when it gets broken. You can consider the Ionic Pro Turbo Ionic air purifier with germicidal chamber and oxygen filter if you’re after germ control in your immediate environment. 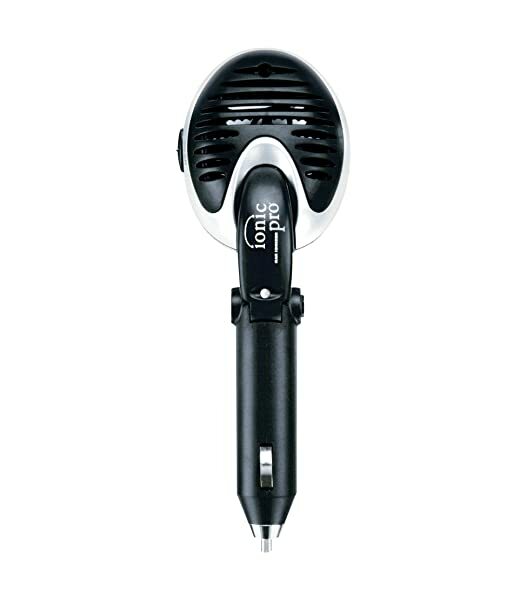 As of this writing, this unit is available in the color black. This model makes for a good option when looking out to buy an air purifier for home and office use. Ionizer – Negative ions are released into the air to attach to pollutants and keep them from being airborne. These pollutants and contaminants will then be easier to clean when they have already settled onto surfaces. Germicidal Chamber – It comes with a special feature for killing germs, viruses and bacteria. Oxygen Plus Technology – Gaseous substances like smog and ozone are transformed into breathable oxygen. Collection Blades – The negative ion collection blades are located on the front side of the unit for easy access. As an ionizer, this model cleans the air by attaching negative ions to particles of pollutants (allergens and other microscopic particles) in the air. The principle behind an ionizer has been proven to work – so, units such as this model is helpful to people with allergies and asthma. There’s no filter to buy or replace. This unit is especially designed to combat disease-causing germs that are present in the air. The unit will produce hissing sounds when the collection blades are already dirty (the noise can be very disturbing). The next one in this list is the Ionic Pro 2D TA500. It’s also a tower type unit and it’s available in black color. Ionizer – This model is designed to produce negative ions as a way to overpower positively charged pollutants in the air. Operation – It works in purifying the air from germs, pollutants and contaminants. Design – It comes in an energy efficient design. Collection Blade – The negative ion collection blade can be easily accessed from the front. Area Coverage – This model is suitable for use in medium to large sized rooms (300 to 500 square feet maximum). Having an air purifier will keep your body healthier and your cleaning job easier. You can consider this model as one of your options when choosing a unit for home or office use. It’s also an ideal air ﻿﻿﻿purifier ﻿﻿﻿for pets. There’s no filter to replace. Its effective in allergen and odor control. The unit can get quite noisy when the collection blades are already dirty (you will hear some type of crackling noise). Here’s another option for a tower air purifier – the Ionic Pro Turbo Max Ionic air purifier. If you’re interested in getting it, know that t’s only available in black color. Ionizer – It uses a negative ion generator to clean the air from pollutants and contaminants. Operation – Running the air purifier will clean the air from allergens, germs, and odors. Oscillating Fan – Its design includes an oscillating fan for wider distribution of negative ions. Speed – It comes with 3 fan speeds (low, medium and high). Area Coverage – This model is suitable for small to medium sized rooms. I like this air purifier because it comes with 4 stages of air purification and it uses some of the best filtering systems to date (HEPA, carbon, ionizer, and a pre-filter). Since this is a special edition model, 5% of the profits from the sale of this unit will be donated to BCRF (Breast Cancer Research Foundation – a non-profit organization dedicated to finding a cure for breast cancer). You can use a remote control to operate it (it’s included in the package). The power on light is very bright and distracting when it’s dark. The unit is quite noisy when set on high. For another option in a tower air purifier, you can consider the Ionic Pro 90IP01TA01-W. If you’re keen on getting it, know that it only comes in one color – black. Ionizer – This air purifier uses an ionizer as the main feature in filtering the air from pollutants and irritants. Operation – It cleans the surroundings from air pollution (composed of pet dander, pollen, smoke, different types of allergens, odors, and more). Germ Killing Technology – It’s designed to kill germs like viruses and bacteria as well as mold spores. Collection Blade – It comes with a front-loading design for the collection blade. Area Coverage – It can effectively cover a standard-sized room. With its 6 stages of air purification, you can already tell that your indoor environment will be free from pollutants, contaminants, and disease-causing germs. If you’re willing to pay extra for a Snoopy theme, you can consider this air purifier. It only releases negative ions, not ozone. The unit is easy to clean – the collection blade is easy to remove and place back. This is an energy efficient air purifier. While there’s no filter to replace, the collection blade is an expensive part to replace if it gets broken. Surely, there are certain features of an air purifier that are more important to you than others. That’s why air purifiers are considered to be a matter of personal choice, as different people have different needs and requirements for this type of home (or office) appliance. Listed below are some of the points that I think are important when deciding on a model of air purifier to buy. Do consider them before making the final decision as to which particular product to get. Pollutants Removed – consider the types of air pollutants in your environment (home or office). Your chosen model of air purifier should be effective in purifying the type of air pollution in your place. In the case of Ionic Pro air purifiers which use ionizers, they’re most effective in removing allergens and odors from the air. Area Coverage – Make sure that you get the right model of air purifier for your specific needs. If you need an air purifier for a large room, get a unit that’s powerful enough to handle air purification in large spaces. Getting a weak unit with inadequate air purifying capabilities can prove to be a waste of money and energy. Filtering System – Check on a unit’s filtering system and determine the following:How easy (or difficult) is it to clean or change the filtering system?How often do you need to clean or replace the air filters?How much do replacement parts cost?Are replacement parts easily available for purchase? Noise – Noise levels are always important in home appliances – especially those you intend to keep running all day long. In the case of the Ionic air purifiers reviewed in this post, they’re all very quiet during operation (which is a good thing). However, this type of air purifier can get noisy when the collection blades are already dirty. You may hear crackling, hissing or zapping sounds when the blades already require cleaning. The truth is – an air purifier (any type) will not totally solve the air pollution problem indoors (that’s just impossible to accomplish at 100% accuracy). Air purifiers will simply minimize the presence of contaminants, pollutants and germs in your immediate environment and improve the overall indoor air quality in your home or office. Aside from an ionizer, get an air purifier with filters. Units that use filters are more effective in cleaning the air from dust and different sizes of particles (this will depend on the type of model you choose). Get a steam ﻿﻿cleaner. Yes, consider using a steam cleaner instead of always depending on chemical cleansers. By doing so, you will reduce the amount of toxic gaseous substances in the environment which also form part of your indoor air pollution (this will lessen the amount of work your air purifiers need to do). Maximize the use of your washing machine. Dust mite problems can be reduced when you use hot water (above 140 degrees Fahrenheit) in washing your clothes, sheets, etc. Employing this technique will also kill the germs and microbes that may be present in your dirty laundry. Consider getting a ﻿﻿dehumidifier. A moist and humid environment makes for a good breeding ground for germs, mold, and dust mites. By controlling the humidity level in your indoor environment, the existence of these pollutants will be reduced as well. 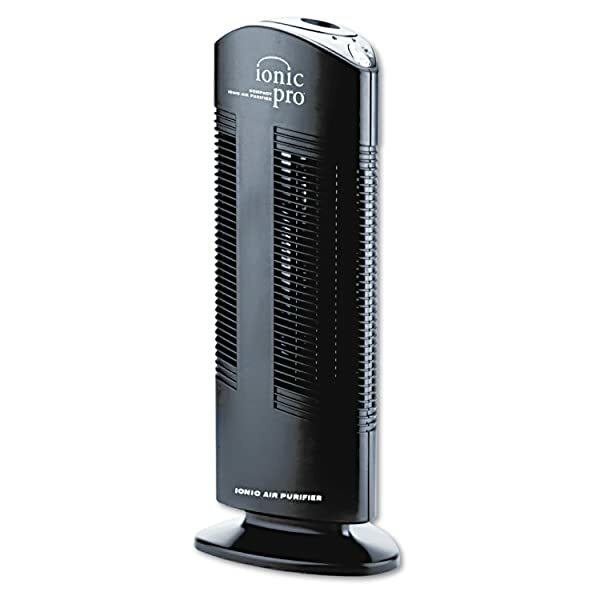 In order to help you decide on the right product for you, I have consolidated a list of Ionic Pro Air Purifier reviews. Look into each one of the reviews and consider their features as well as pros and cons. If you’re still having a hard time in choosing a unit, let me just make a few suggestions. If you’re in search for an ionizer that can handle air purification in a large room, consider the Ionic Pro Turbo air purifier. It can cover an area of 500 square feet and it comes in a tower design. This model is light and portable and can be easily transferred from one area of your house (or office) to another.For a compact choice in an ionizer, consider the Ion Pro Compact air purifier. It’s a mini tower – so, it’s smaller and lighter than regular tower type models. Just keep in mind that this particular unit is not that powerful and can only purify the air in small to medium sized rooms (up to 300 square feet). They all use ionizers as their main air filtering system. None of them use filters. They are all equipped with collection blades. Well, I hope you have already made up your mind by now as to which Ionic Pro air purifier is most suitable to your needs. If you’re still undecided at this point, you can just go back to the Ionic Pro Air Purifier reviews above and compare the units. Do let me know if there’s anything else I can do to help you find the model of air purifier that’s suitable for your needs. I always read your comments, so you can leave a message in the comment box below this post. You can also share this article with your friends – that would be great!